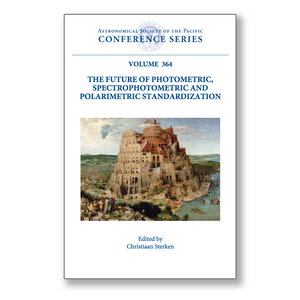 Several dozen standard setters and active standardizers came together to reflect on the status and on the future of standardization and calibration in photometry, spectrophotometry and polarimetry. This Proceedings book contains papers about calibration and standardization, including the production of standards. The Volume covers plenty of advice on the construction and use of calibration apparatus, and on the setting up of standard systems. The organisation of the book, though not a faithful record of the talks, closely reflects the structure of the meeting, with topics grouped by discipline. The book opens with concepts of standardization, followed by construction, calibration and maintenance of photometric systems. This leads to discussions of sky surveys, followed by standardization of spectrophotometry, and spectrophotometric and photometric absolute flux calibrations. Standardization in the infrared, and standardization of polarimetry, come next. Two subsequent parts handle synthetic data and models, and reduction techniques, procedures and methods. Standardization of unusual objects is followed by recommendations for the future. The book embraces considerable overlap of topics, because the same principles are presented from different viewpoints. Contributors were encouraged to include basic information on standardization and calibration, so that newcomers in the field may get an easy start. As such the book can also be considered as a Reference Handbook.